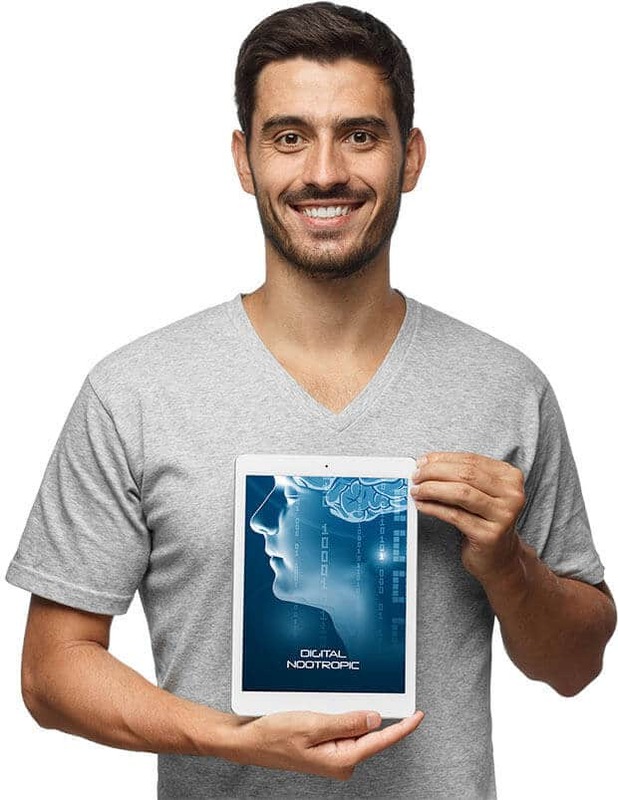 Use this energetically encoded digital media program to transmit the amplified energetic signature of some of the finest and highest quality nootropic substances known to science. Experience sharp clarity, increased mental acuity and enhanced mental endurance to focus on important projects for long periods of time without brain fog or fatigue. Nootropic is a term coined by Roman psychologist and chemist, Corneliu E. Giurgea, in 1972. from the Greek words νους (nous), or “mind”, and τρέπειν (trepein), meaning to bend or turn. Nootropics (smart drugs and cognitive enhancers) are drugs, supplements, and other substances that may improve cognitive function, particularly executive functions, memory, creativity, or motivation, in healthy individuals. The use of nootropics, over the last few years, has increased significantly among university students and Silicon Valley IT professionals. Most people are initially drawn to nootropics for their memory boosting effects. Nootropics have been studied extensively over the years with some of them demonstrating cognitive enhancing properties in cognitively impaired individuals and oftentimes in healthy adults as well. While we don't believe nootropics alone will solve all your problems (this isn’t “Limitless”), we know they can definitely offer the extra boost you need to give you that mental edge in life, sports, education and business. 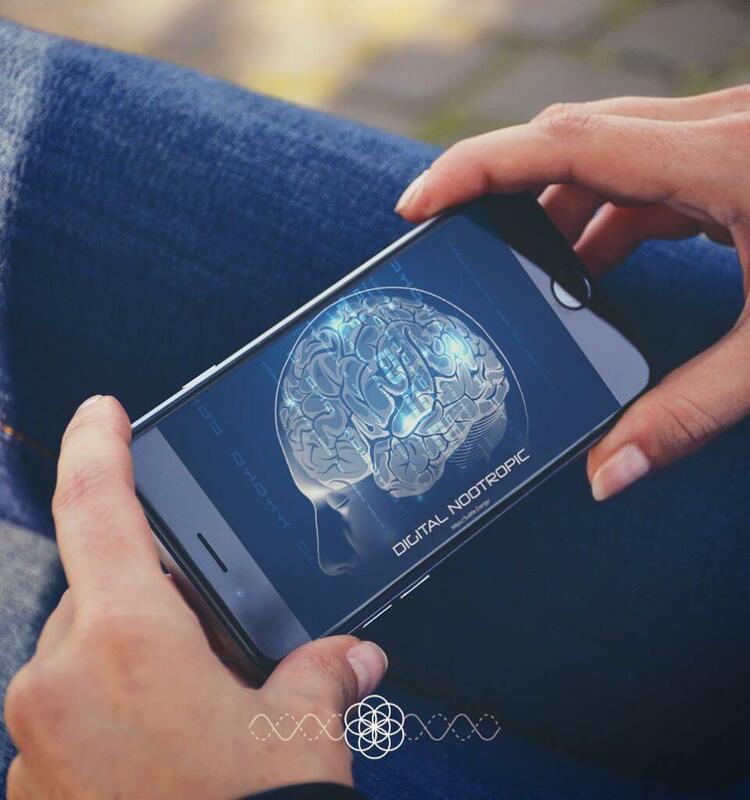 Digital Nootropic represents a new kind of vibrational technology – energetic encoding technology – which digitally captures the energetic or informational signature of some of the finest nootropic substances known to humanity using proprietary computer software and energetic encoding techniques developed by Subtle Energy Sciences. When formulating Digital Nootropic, our intention was to create a synergistic blend of energetic signatures for subtle energy healing that helps jump start you out of brain fog, let go of procrastination and boost your energy, focus and mood so you can blast through hours of mentally demanding tasks with ease and enthusiasm, all without jitters or burnout. Huperzine A extracted from Huperzia serrata – A potent natural synaptic enzyme modulator. Studies indicate its ability to support learning, memory, neuroplasticity, and executive function. Celastrus Paniculatus Seed Extract – Has been shown to enhance cognitive function by supporting memory and learning, and to protect the brain from oxidative damage and neurotoxicity. Phosphatidylserine (PS) – A naturally occurring aminophospholipid found in high concentrations in the brain. Studies indicate its ability to reduce stress, fatigue, attention deficit and forgetfulness, and to increase mental processing speed and accuracy, attention and working memory. Pregnenolone – Increases mood, motivation and brain function. It is neuroprotective and enhances learning and memory, and increases the amount of deep sleep. Relieves anxiety and depression. Increases growth of neurons. Pterostilbene bound to Caffeine – A next-generation caffeine alternative that delivers almost 30% more caffeine into the blood than ordinary caffeine, with the rate of caffeine absorption being significantly slower by about 30%. Theobromine – Enhances blood flow and oxygenation to the brain and possesses long-term antioxidant properties. Reduces oxidative stress at the cellular level and has anti-inflammatory properties. Acetyl-L-Carnitine – An acetylated form of L-carnitine with anti-aging, neuroprotective and nootropic effects. It decreases fatigue and improves attention, memory, learning and executive function. N-Acetyl Tyrosine – Acetyl-L-Tyrosine is an acetylated form of the amino acid L-Tyrosine with nootropic effects. It increases attention, motivation and concentration, and improves memory and learning. DL-Phenylalanine – DLPA is a mixture of two forms of the essential amino acid phenylalanine, the naturally occurring L-phenylalanine and the synthetic D-phenylalanine with nootropic effects. DLPA enhances mood and can increases alertness and improve memory and learning. Taurine – An organic amino sulfonic acid with nootropic and neuroprotective actions. It can improve memory and has anxiolytic effects. L-Theanine – An amino acid analog of glutamate and glutamine found in green tea from Camellia sinensis with neuroprotective effects. L-Theanine has anxiolytic activity and studies suggest that it may improve memory. Pyrroloquinoline Quinone (PQQ) – A quinone molecule with a potent anti-oxidant and neuroprotective effect. Studies indicate that PQQ can help prevent cognitive decline. DHA (Docosahexenoic Acid from Algae) – A structural omega-3 fatty acid with neuroprotective and nootropic effects. DHA has been shown to improve executive function, memory and learning. Beet Root – Lowers blood pressure and reduces risk of heart disease and stroke. Boosts energy levels. Promotes brain health. Artichoke Extract: 5% Cynarin – A plant that contains cynarin, having nootropic and effects. Cynarin can significantly improve memory and executive function. Bacopa Monnieri: 55% Bacosides – Studies indicate that Bacopa monnieri has neuroprotective, nootropic and adaptogenic effects. Research shows that it can improve memory formation & recall. Coleus Forskohlii: 20% Forskolin – A labdane diterpene and the main bioactive compound in Coleus forskohlii, having nootropic and adaptogenic effects. Forskolin improves learning, memory and mental stamina. Ginko Biloba Leaf Extract – A plant with neuroprotective, nootropic and adaptogenic effects. Ginkgo biloba can delay aging, improving memory and attention. Mucuna Pruriens: 98% L-Dopa – A bean with neuroprotective and adaptogenic effects. Mucuna pruriens is a mood enhancer and increases focus and motivation. Rhodiola Rosea Root – A flowering plant with nootropic and adaptogenic effects. Its biologically active compounds can improve memory and focus. Vitamin B1 as Benfotiamine – A synthetic S-acyl derivative of vitamin B1 (thiamine) with neuroprotective effects. By increasing vitamin B1 levels, benfotiamine can increase energy, mood and alertness. Vitamin B3 as Niacinamide – The amide form of vitamin B3 (nicotinic acid / niacin) that is naturally synthesized in the body with neuroprotective and anti-inflammatory effects. Experimental evidence indicates that nicotinamide can decrease age-associated cognitive impairment. Vitamin B5 as Calcium Pantothenate – A synthetic form and a source of vitamin B5 (pantothenic acid) with nootropic actions. Vitamin B5 can improve concentration and benefit memory & learning. Vitamin B6 as Pyridoxal-5-Phosphate (P-5-P) – The most active form of vitamin B6, having significant nootropic effects. P-5-P plays an essential part in mood, memory formation, and executive functions. Vitamin B12 as Methylcobalamin – A methylated and active form of vitamin b12 (cobalamin) with strong neuroprotective and anti-aging effects. Methylcobalamin’s effects include improved memory and executive function, as well as enhanced focus. Vitamin C as Ascorbic Acid – A naturally occurring essential vitamin with strong neuroprotective and antioxidant effects. Ascorbic acid is able to decrease fatigue and improve mood. Vitamin D3 as Microencapsulated Cholecalciferol – A form of vitamin D (vitamin D3) with antioxidant and neuroprotective effects. Research indicates that it may contribute to delaying neurodegenerative and age-associated cognitive decline. Citicoline (CDP Choline) – A compound made up of choline and cytidine with neuroprotective and nootropic activity. CDP Choline decreases age-related memory impairment and cognitive decline, and enhances attention, learning and memory. Alpha GPC – A compound made up of choline and glycerophosphate with neuroprotective activity. Alpha-GPC prevents cognitive decline, and increases attention and memory. “I use a lot of reagents in my energy work, including pictures, figures, etc.. So when I printed out the Mandala, I planned to use it in my radionics work. I printed 5 copies double sided. For some reason my printer printed in grey scale, but rather than reprint, I decided to try it. The subject is in her early 90’s and suffers from early on-set dementia. (analysis indicates several nutritional issues). So I placed the mandalas in the witness well to see what happens. The response was AMAZING. I am not sure if you are familiar with Hieronymus-type radionics, but an increase of General Vitality of 100 points is excellent. Just the grey-scale pictures increased General Vitality by over 500 points. That is life changing. Very cool!" The Digital Nootropic soundtrack is made up of soft, soothing wind similar to brown noise. Because the Digital Nootropic audio is meant to be looped repeatedly and used for extended periods when you need to focus for hours at a time, it is the kind of soundtrack that best blends into the background and doesn't draw too much attention to itself. A full digital media program energetically encoded with the ultra-amplified energetic signatures of some of the most powerful nootropic supplements in the world. Use this if you are exceptionally sensitive to the Digital Nootropic energy or to otherwise reduce the amplification of the Digital Nootropic energy. Set to Repeat, minimize the video and work in other windows as the silent energy video silently broadcasts the energetic signature of Digital Nootropic through your device. Set it to Repeat and use it to radically amplify the energy of Digital Nootropic. "Went to a conference and put it as my phone background – in conversations I rapidly entered into flow. I was astonished how smart and intelligent the words were that came out my mouth. This is a game changer for knowledge workers! DN is extremely effective and is working quite strongly even after turning off the mandalas – my thoughts become very vivid fluid seamless and meta perspectives come easily! Yesterday I had 3 mandalas on my laptop for 4 hours – the effect lasted much longer In my case it lead to sleeplessness -the effects are similar to caffeine overdose without the jitters – which again happens quite easily for me." "Digital Nootropic is great. I love the nature sounds, ocean & triangle bells combined together. Very soothing and relaxing. I've been listing to it for about a week now (since it came out) along with the mandala for it and find it helps me think clearer and calmer. It seems to be uplifting too and I think it has improved my overall outlook on day to day life. Eric, in my opinion, the audio track is the best one you've done yet both energetically and musically!" "Oh my God! Digital Nootropic is… the bomb! Sorry for saying so emotional, but it really is the neuro-bomb for brain (and for life too)! Digital Nootropic became broadly antidote for procrastination in all areas of my life. I think this is exactly what I needed – a biochemical “kick”, so to say. Though overcoming procrastination is not a special purpose of Digital Nootropic, but it turned out to be the most effective anti-procrastination means from all that I have experienced before. One more ghost effect of Digital Nootropic – reducing the need not only for stimulators (like coffee), but also in food, it gives constant feeling of satiety. Energetically scalar-coded audios are awesome! Eric, your new technology is beyond belief!" "I haven't had time to meditate with them (just on the go & sleep & naps), so the subtleties have to wait another day. What I can say so far: Both work amazingly well and are really, really strong. I get the same effects as from my physical nootropics stack, including the slight muscle tension I get when I add something new that's working well. To me, this tension isn't a side effect, but rather a chance to become aware and let go of blockages to the energy flow. This un-blocking is actually the most important bit of the way nootropics work for me. The combination with Earth Pulse is awesome. There's none of the edginess and impatience that I sometimes get during the adjustment phase to new nootropics or different dosages. Very relaxed & grounded. That's even more impressive since I've been sleeping about three hours less than what used to be my minimum for the past weeks. The combination of the last batch of releases is a force to be reckoned with. Whole ‘nother level 😀!" "With the very restricted use (i find it very potent) i function better through the day, with more efficiency and energy, less worries and a general sense of well-being. Sleep was greatly improved, falling asleep in much less time, and much better dream recall. For me, strongest SES product to date, only one mandala opened on a smartphone for 1 hour in 24h period gave me many benefits including more efortless productivity and better overall sense of joy and ease. I cannot belive i would ever say this, but i would like audio to be less strong. Each time i tried it, even for 20 minutes only, i was overwhelmed and it would make me very sleepy. I can only use mandala, and no more than one hour. And yes, i noticed prolonged mandala effect that you mention in instructions. It took me a few days to find a proper “dose”. 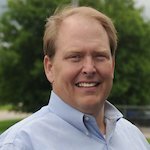 I already mentioned, but improved sleep was something i was not expecting (and was not among intended benefits, specifically) and it was rather drastic." "Digital Nootropics is supplying my body and mind with the right prescription. I'm feeling much more relaxed and focused on my tasks. My verbal and written communication seems more fluent and I feel more comfortable going about my day with less anxiety. Wow!! I meditated to this track last night for 20 min and my dreams were much more vivid. I enjoy the sounds as they dance around in a multi-dimensional way." "Combined Earth Pulse and Digital Nootropic x 3 audio's and the same number of mandalas of each last night. Did this for a very powerful one hour meditation. Incredibly vivid dreams last night but work up feeling greatly refreshed. Had to deal with a difficult personal issue this morning and am feeling much more centered than usual in this situation. Looking forward to continuing to meditate with these two very powerful tools for growth and connection." "As myself as a former smart-drugs salesmen and user I am amazed about the Digital Nootropic. The amount of clarity is similar as taking the smart drugs yourself but without the at times physical discomfort. No heart palpitations or sweating, only the good effects without your body needing to process the natural smart drugs. This one will be played every day!" "Wow after listening, I am feeling a major surge in brain activity. Feelings of heat and warmth fill my brain. I am much more focused and motivated to get things done today. I just finished listening, and decided to stop after about 30 minutes. I felt an immediate surge of mind power. I will get back with more feedback later. I totally feel the crack of the baseball and see it flying out of the ballpark with this one. It really does feel like I am actually taking a Mind pill. I feel my head surging with focus, clarity, energy, and enthusiasm. Last night I turned off the mandala at 6 on because I knew it would keep me awake. I was able to sleep well. This morning, I turned the mandala back on, and listened to the tracks for about 30 minutes. My mind is focused, clear, buzzing with energy. Much less brain fog and much more motivation. One benefit I wasn't expecting was increased digestion. My belly feels a warmth that is very comforting. Again, DN feels like I am taking a smart pill. I literally feel the positive effects!! I find it completely mind blowing that I feel such a tangible, physical effect from these digital products. Really amazing. I am blown away by how rich and full of energy my brain is. The effect is immediate. I cannot help but wonder how much brain supplements and pharmaceuticals actually cost, both financially and in side effects. Then I think of how powerful these digital materials are in producing the very same but elevated experience. Really amazing product — can't say enough about it." "Clarity and increase in mental acumen. This one is going to be good for when I do paperwork and organizing. Max dose is 2 hrs. Then I have to wait for a while to use again. Audio is very strong. I can really feel the scalar entrainment on this one! Mandala is pretty strong too, but not like the audio! I used it flip flopping between Earth pulse yesterday. I had a computer project which required ideas and good enhanced cognitive process. I put on DN and followed a thought that perhaps a USB port had water damage and wasn't able to load a system install. This insight turned out to be true! Digital Nootropics is amazing! The proof is at work after a 4 hour class and then switching gears to work on paperwork and talk with boss and things. Fast removal of mental fog, and fatigue. I now feel as though I never taught for 4 hrs! Usually I am fatigued and mentally very drained. Not today! Digital Nootropic is going to go over very well in my opinion! Improves task motivation, intelligent choices, focus, follow through! Its awesome! Digital Nootropic got me through a very difficult moment at work during a meeting, and subsequently helps a person meet incredible challenges with increasing grace and intelligence." "Digital Nootropic is an outstanding product that will show you that you are smarter than you thought. It is like the sunshine that banishes mental fog. In deep mindfulness and insight meditation, Digital Nootropic leaves you no place to hide, in a fantastic and breathtaking way, and you are prone to realize how exquisite it all is… Digital Nootropic is a very complex product with many uses. I found myself getting deeper into meditations quicker, adjusting to the world around me with appropriateness to the situation, behaving with an even tempered understanding colored with compassion and presence. Although stimulating at first, extended use promotes a deep calm that is both transcendent and invigorating. I would be hard pressed to think of a way to improve the product. A few mentions: The first night I used DN, after just twenty minutes, it felt as though my brain was being illuminated from within, in a very pleasant way. After further extended use (all day, morning to late evening), I experienced what I can only imagine might be electrical sensitivity, or visceral photo-sensitivity. Sensations in the body that feel like ripples at different frequencies depending on the source of light or other resonance. Seriously, this was the absolute best audio so far (the chimes were distracting at times, maybe a bit loud? ), the natural wind in the trees sounds really made this product shine for me!"